Fitabase supports innovative collection powering the next generation of health research. Easily connect study-controlled or participant owned devices. Generate custom tags to keep track of groups. All secure and de-identified. Distribute devices to study participants. Link to mobile or desktop apps for continuous syncing. Device data streams directly to Fitabase. Use our web platform to view device battery level and sync times and stay on top of participant compliance. 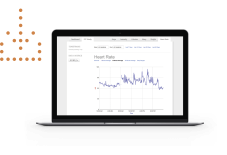 View data and explore real-time trends. Export data from individual participants or create custom batch exports for groups or your whole study. Download CSV files for daily, hourly and minute-level data. 400 research studies around the world. 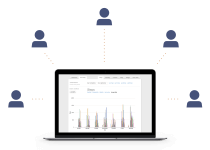 Our web-based platform allows you to better understand your participants, monitor their behavior, and access the data that's important to your study's success. Thank you for contacting us! We look forward to speaking to you.